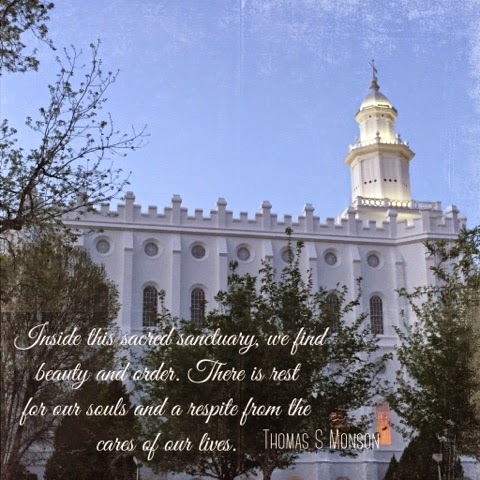 LDS | Life, with a click! I know the years that 30 days of gratitude were trendy people got tired of the posts. I haven’t seen one yet today, but I’ve been thinking, planning, writing, and shooting my 30 days for the past few weeks. 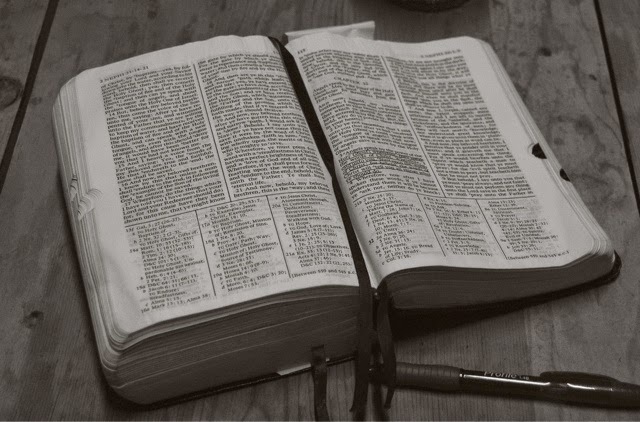 It has helped center me and given me a new perspective while evaluating what really matters the most. If you are one of those who doesn’t want to see 30 days posts you also may not want to be seeing my pancreatic cancer awareness posts that will be going on all month long. 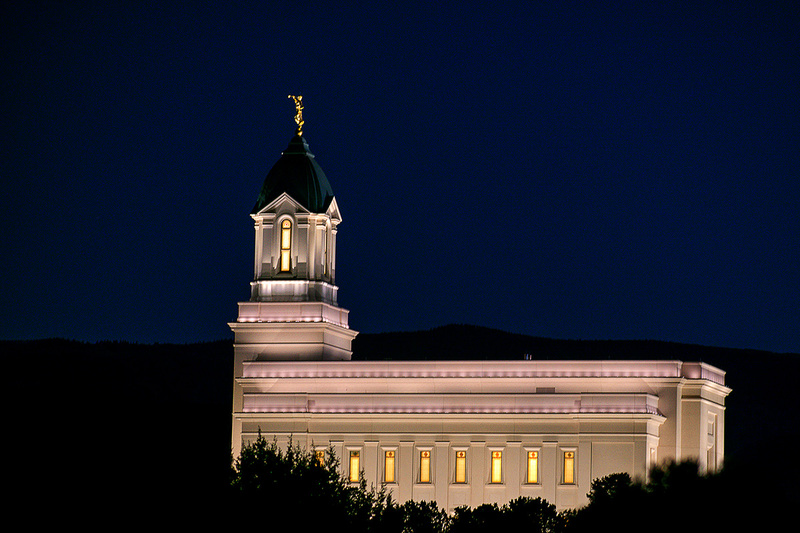 Last Friday the Cedar City LDS temple opened for tours to the public before being dedicated in December. 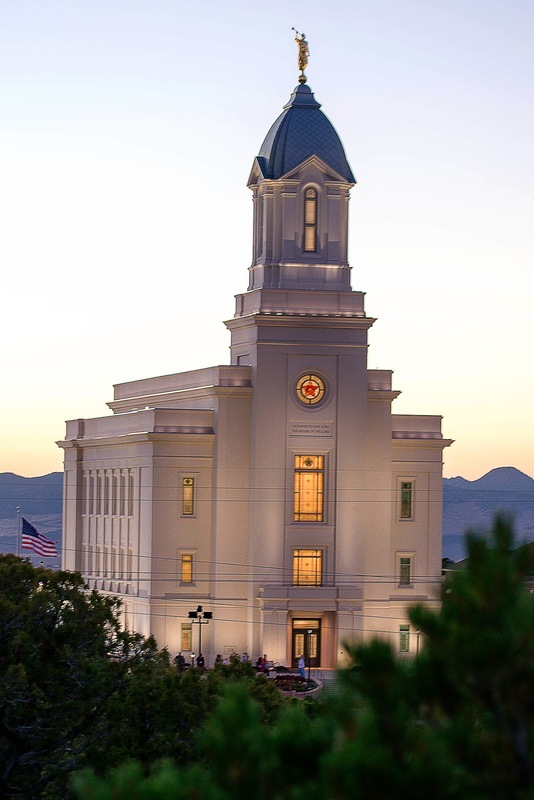 I’ve been watching the temple the past few years feeling peace from the beginning while sitting across on the hill, sometimes seeing big changes and sometimes not. There is nowhere else I have found to remind me of what I value most when life, work, and busyness clouds my priorities and makes it difficult to remember. We went on Trek to Martin’s Cove and Rock Creek Hollow end of June and first part of July. I’ve been before. 4 years ago we went on a youth trek through Kiabab forest ending overlooking the Grand Canyon. When Michael was a baby our Ward went, so 14 years ago or so. Every time I have not been able to write about the experience to a level equal with the intensity of the week. I expect this time to be similar, and I have no idea how to even proceed, but I go back to work tomorrow so I’m trying to get something down for now. This is where I will fail miserably. Click here for another account. Fire and the Covenant is a historical fiction novel written about the handcart companies, and Follow Me to Zion is a collection of journal entries and stories. A quick search on amazon has several books listed. 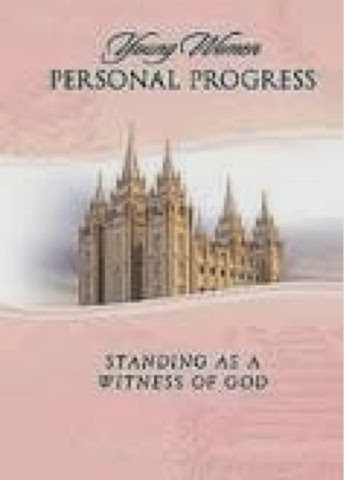 In 1856 Brigham Young authorized LDS saints to travel to Utah by handcart. They had started the perpetual emigration fund to help gather the saints in Zion and using handcarts could gather 10 saints for every 1 by wagon train. The first 4 handcart companies (about 500 people each) had made the long trip successfully. Traveled by ship to either Boston or New York and then by train to Florence, Nebraska. In Florence they built handcarts and sewed tents for the journey. These saints were not frontiersmen nor had they been trained for the journey ahead of them. They did have the faith to do whatever was required of them. They started late in the season and had several set backs to getting started. 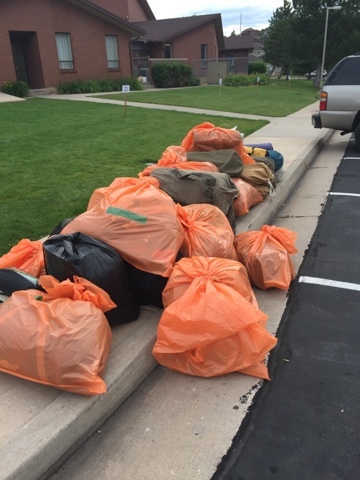 They were allowed 17 pounds of belongings. 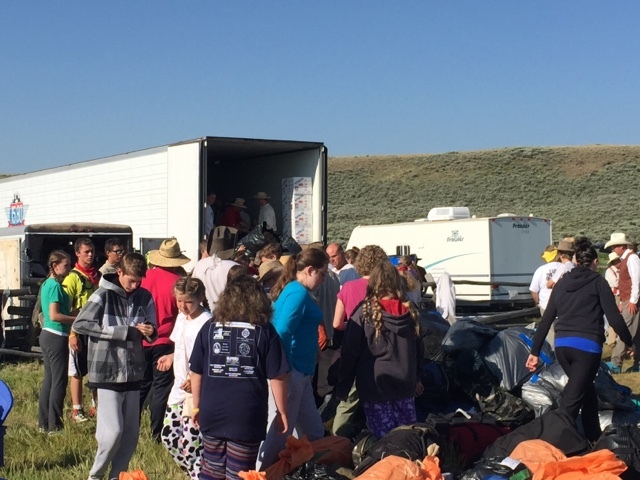 As they came through Wyoming they were hit with a harsh winter storm and they had been on reduced rations already. 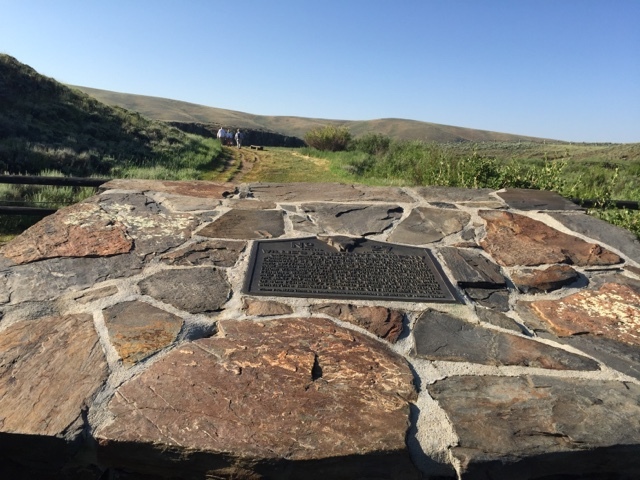 The Martin Company along with Hunt and Hodgett Wagon companies (about 1100 people) took shelter in Martin’s Cove and the Willie Company took shelter at Rock Creek Hollow being 100 miles ahead of the Martin Company. When Brigham Young heard that there were saints out in the storm he said “go and bring them in” sending out rescue parties and supplies. The stories are endless, and I could talk forever about the ones I know, what they taught me and what I hope to never forget. After my hardest of Hard Things I’ve often thought this Hard Thing is my price, and I have become better acquainted with God. The second part I am eternally grateful for. She’s my ancestor, was part of the Willie Handcart company and best known for the sea biscuits in the Dutch Oven as portrayed in 17 Miracles. She’s one of my favorites because she came across a a single Mom bringing 7 kids. “If Ann Jewel can do that, I can manage kids schedules, work, school, and the house” got me through days I didn’t think I could go on any farther. I learned this time that after being part of the Willie company he was later called on a mission to settle San Juan. He was in the first group that went through Hole In the Rock. Not only can we do Hard Thing, but can do multiple Hard Things. I can’t think of anyone who would say that was ‘fair’ but he was called and he went. He never complained. 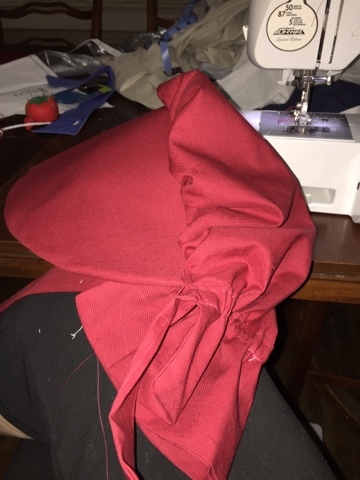 Pre-trek: Sewing, sewing, and more sewing. Packed in 5 gallon buckets and gathered epi-pens, inhalers, first aid supplies, portable nebulizers, last minute tent crew stuff. 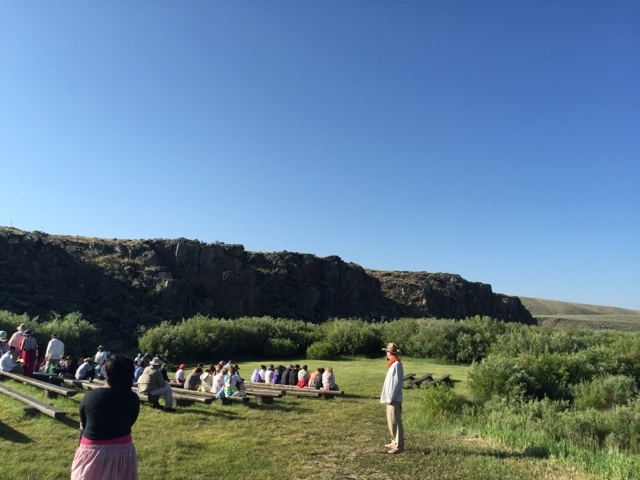 Day 1: We left the Stake Center at 5 am (well, we were suppose to) and most people loaded onto tour buses, significantly different than the train ride in crowded train cars being threatened as they passed through towns. Neil and I were fortunate enough to be able to ride with Benson’s. 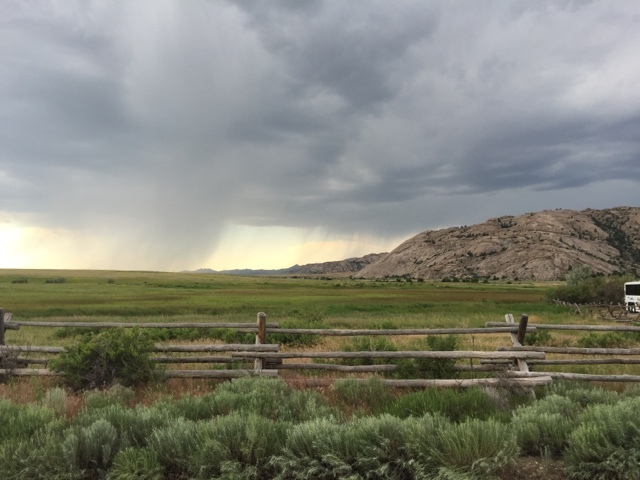 We drove, what seemed like forever through empty Wyoming plains to arrive at Martin’s Cove. Neil at the last minute was put on tent crew (the second tent set up didn’t go so well, due to some lack of miscommunication/knowledge/information) and in minutes it went from raining and blowing while setting up tents to heat, sticky humidity, and mosquitoes. Bishop Heap spoke at a fireside, everyone was clean and fresh. We were well fed (the entire Trek we had plenty of good food) and then the adults worked on getting the kids to go to sleep. Michael and Dallin caught rabbits and went looking for rattlesnakes. ‘oy. Fitbit has me at about 12,000 steps. Most of it from tent set up I’m certain. Day 2: Breakfast at 7 am to load the buses at 8. Breakfast was great — biscuits and gravy with delicious sausage patties and we were on time, much to my surprise. They broke the stake up into two main groups (orange flag and a red, white, and blue flag loaded onto the front carts) We also divided medical staff so that 3 of us were the 9 families and 4 of us were with 10 families. All of the kids except Kaede were in my group. Later I wished I’d been there to watch her closer. Reminders to start drinking. They told us stories of Dan Jones and trying to eat hide glue then took us to the chapel where they played this video. That video was my moment (along with the fireside the night before) I wasn’t worried about people being dehydrated yet, I wasn’t dehydrated, only 1 minor injury and no sore feet. From the visitors center we walked towards the Sweetwater River crossing. Lots of reminding people to drink and then drink some more. I want to go back in the winter. When the pioneers crossed there were chunks of ice floating down the river and we looked forward to the relief from the heat. Later in the day when we crossed on the bridge I paused for a second and tried to imagine the green banks covered in ice and snow and the wind blowing bitter cold instead of like a furnace blower and my mind can’t make that connection. Crossing the Sweetwater is Holy ground. There was reverence, tears, and beautiful violin music. Shortly after the Sweetwater we stopped at some statues. I can’t tell you much about them because I was busy doing medical stuff, inhalers, sick kids, and reminding people to drink some more. From the statues it was a short walk to lunch. Shade, cool water, and food. At this point all is going well, most people are drinking well and the rest from the scorching sun was appreciated. Just above the cart parking/pavilion is Martin’s Cove. There are no handcarts and no water in the cove. Along the path to the cove is Dan Jones amphitheater where we stopped again. Both groups are together at this point and Kaede finds me to walk with me. She’s red and not sweating and “can’t find” her water bottle so she has a little 16 oz bottle that she’s not drinking. I ask her to drink and she keeps talking. I asked if she has been drinking and she said no, I’ve been too busy pushing (and most likely talking) so I hand her my full water bottle and have her drink it and she perks up a little and starts sweating again. I’d forgotten how long it is around Martin’s Cove and have never been in the middle of the day. Kaede drinks all of our water and rests at the top of the cove in the shade. I pause for a moment and try to imagine 1100 people laying underneath canvas from their tents and wish just for a moment that I could feel -10. At the top I realize Neil still has water and try to ration it between the 3 of us the rest of the way down. Once I get back to cart parking I drink water like crazy, alternating water and gatorade. By crazy I mean 2 L. I keep drinking and feeling increasingly tired and hot. I don’t know if my feet hurt because I don’t care. The Women’s Pull left me in tears, and I didn’t even pull or push — I promised myself I’d be kind to my back. We had 2 girl in rickshaws in our group and we got all 9 handcarts, 2 rickshaws up with “women can do hard things” pushing. At the top the guys were silent, hats removed out of respect with tears on many faces. Bishop Heap once again did an amazing job talking to our boys. From the women’s pull you can see camp in the distance. In camp is my bucket, shade from a tent, and food. Once we got to camp I sat down in the shade of the Bishop’s tent. Dude continues to comment on how wonderful I don’t look and has my every need taken care of by others. 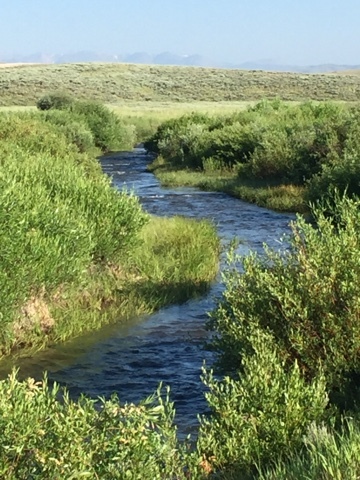 As the night goes on and I keep drinking and feeling worse I actually ended up with an IV laying in front of our tent–the point I started to get nauseated I knew that all the water I’d been drinking was not enough. In a heartbeat I’d do the same thing again, give my water up for my children–any of us would. I knew it wouldn’t be a long term problem. I can’t imagine what it was like seeing kids going hungry knowing that you had to eat too, or you wouldn’t survive. At one point rations were cut to 4 oz of flour for the day. There wasn’t endless food just ahead like I had water, they had no idea where their next food would come from. Day 3: I spent in the visitors center at Rock Creek with a couple of youth not well enough to trek. Long day, lots of water, reading, and a flushing toilet. Tents were not set up because Dude and I thought we’d be hanging out with the non-trekkers at our camp site so we sent Neil on trek. The missionaries were confused about where we were camping and so there was nothing to do but hustle to get the tents up when everyone got to Rock Creek Hollow. That night we camped at Rock Creek Hollow, had the most beautiful testimony meeting I’ve ever witnessed followed by strawberry shortcake. Day 4: I refer to day 4 as “gratitude for Benson’s day” The young beehives sang, clapped, laughed the entire way home. There was no rest, no sleeping, no quiet. The bus seats were comfortable for about 40 minutes until my back started to complain. We were all home, showered, and in bed by midnight. Post-Trek: My backyard has been tent city since trek. The day we broke camp the tents were all very wet so we set them back up to dry them out and just as they’d get almost dry a thunderstorm would roll through. Tents are all down now, one still draped across to dry and we are back to “live as normal” I wish I knew how to keep the lessons learned during these glimpses into our past to help us re prioritize, strengthen our resolve but I don’t. Getting to the Salt Lake Valley was important to the pioneers so they could be sealed as a family in the Endowment House. Getting those temple blessings were so important to them that they gave all they had to have the opportunity and they were grateful for the experience. I hope my resolve and priorities can be as set as theirs. p.s. A few more pictures to come, but not many as we were electronics free and I didn’t bring my camera.